Last night, Jeff Varner did something that was absolutely appalling. The details of which can be read all about here if you haven’t seen the episode. 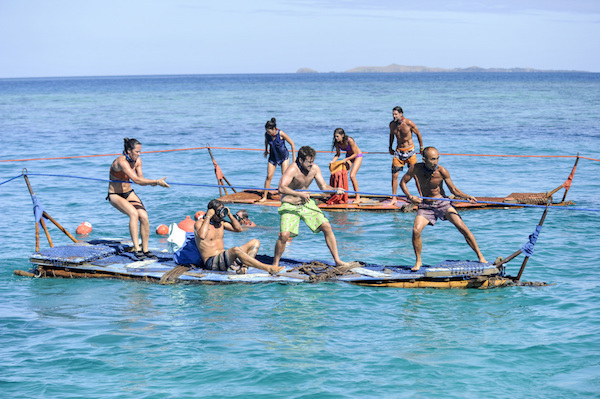 Whether you are a fan of Survivor or not, go and watch the clip on Survivor CBS or Global TV; it is moving, and it is powerful in the way that the other players in the game and the host of the show handled the situation and immediately condemned Jeff Varner’s distasteful act. This is something that everyone should see. Due to the scale of Jeff’s horrific act, anything else that happened in this episode has probably already been forgotten. If it hasn’t quite yet, it will be forgotten very soon as the events that transpired at that tribal council will forever overshadow every single other thing that happened in the episode. Nonetheless, there is still a fair amount to discuss before getting more into Jeff’s self-destruction of his entire Survivor career. In addition we’ve got Edgic, The Winner’s Edit and a deep dive into who is receiving the most confessionals all to take a look at. So let’s get right into our discussion of this episode of Survivor Game Changers, titled “What Happened on Exile, Stays on Exile”. As Nuku got back to tribal council following the elimination of Sandra in the game, Debbie immediately tried to assimilate into her new tribe. Rationally, Debbie played off her exile cruise experience as if it had never happened; claiming to her tribe-mates that she didn’t even have a flint to make a fire. Technically that is a true statement…only she didn’t need flint because she got to sleep on a cruise ship loaded with alcohol! Following that, instead of going to bed, Jeff and Zeke continued to bond by the beach. Jeff told Zeke that he would have been open to voting Sandra out if they had told him to and Zeke made sure to comfort the former Mana man, telling him that he wants to get him all the way to the final three. This was again brilliant play from Zeke for the second week in a row. Although Zeke knew that Varner was likely going to be the next to go, he didn’t want to alienate him at all and wanted to keep the former Australian Outback contestant in close in case anything went wrong. We’ll get more into this later but this again shows just how unnecessary Varner’s actions were towards the Millennials vs. Gen X star. Zeke was the person that had kept the door open for Jeff in the game and Zeke was the person that let him know that he was going home so as to not blindside him. But the malicious Jeff Varner decided to put all that aside, forget about it and go and attack him at tribal council. In the only scene of the day coming to us from camp Mana, the tribe of seven bonded over just how tough the game was. The conversation originally came about after missing out on a pizza reward that ultimately went to Nuku, but it later developed into a bit of a sob-fest and a conversation about how much respect Brad Culpepper had for his wife in making it to the end of the game. Brad’s pure emotion and genuine ability to connect with his tribe-mates in this instance did him wonders in solidifying Cirie, who has always felt like she was on the outs with old Nuku and Tavua, and Aubry, who always felt like she was on the outs with old Mana and new Nuku. Aubry even said “Brad is the most genuine person out here”. Hundreds of conversations must have gone on in this three day span on the island, but this was the one that was shown. That has to mean something. Perhaps, it is the moment that Brad Culpepper ultimately solidifies the alliance that will help carry him to the end of the game. Time To Cut Ozzy’s Throat? To not make Jeff Varner’s elimination from the game completely and totally obvious, Ozzy Lusth was presented to us as the red herring of who else might go home. Some were considering it more than others, most notably Zeke who really liked Varner and wanted to keep the man around, as well as Sarah Lacina who was edging to make a big move. Sarah even said “I need to be careful because that’s a huge move but I am ready to prove why I am a game changer. It might be time to cut Ozzy’s throat”. 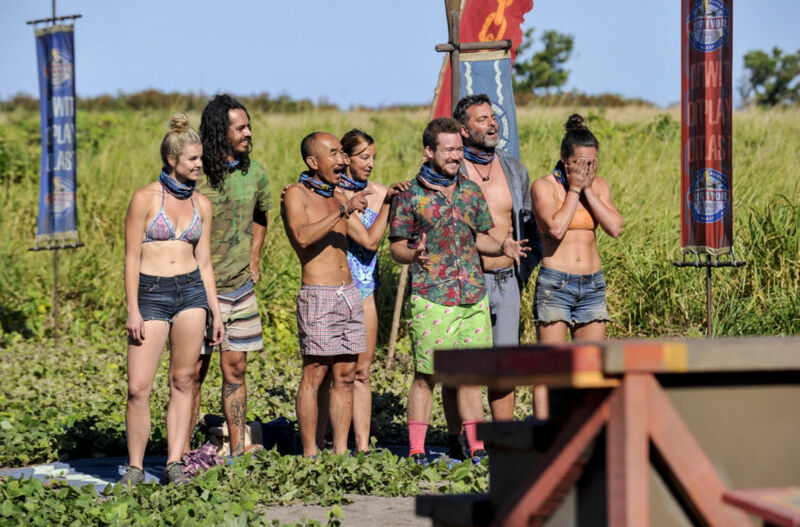 Debbie, Tai, Andrea, Zeke, Sarah and Varner all showed signs of considering taking the Cook Islands runner up out of the game but Ozzy is truly just too well to positioned to ever have been the one going home at this point. As much as anyone wants to say that Ozzy is an immunity challenge threat that needs to be taken out, that Tavua group desperately needs to keep him around for the long-term as it appears on the other side, Brad is really building a strong alliance to do battle with them. If they were to take Ozzy out in this episode instead of Varner, it would have been absolutely detrimental to their games and with smart players like Andrea and Sarah, they were quickly able to recognize that. The only hope that Jeff had in saving himself from the game was in trying to get the others to take out Ozzy. He even said so himself right before tribal council. So why he decided to go after Zeke before tribal council and then truly, really attack him at tribal council was absolutely ludicrous. Zeke really wanted to keep Varner around. At one point, the Millennials vs. Gen X 9th place finisher, said “I trust Varner more than Ozzy at this point. I would like nothing more than to keep Varner in this game but I don’t want to lose Ozzy because the way I’ve set it up is to have bigger threats around than myself”. He even told the Cambodia contestant that he had a 50% chance at staying in the game; and that wasn’t a lie! It was the truth! The tribe really was considering taking Ozzy out. He then let out that the “girls are going to make you feel safe”, which was also true. But somehow Jeff Varner came out of his conversation with Zeke feeling like the New Yorker was untrustworthy and I quote “Not the guy that everyone thinks he is”. He then went on to tell Andrea and Sarah that Zeke threw them under the bus, which they were not happy about, but which was totally inaccurate. This just proved Jeff to be even more of a liar and for someone who preached that Zeke was full of deception because he was transgender, Jeff truly was the deceitful one here. Deservedly, after a horrific act that was rightfully denounced by everyone involved, Jeff Varner was not even allowed to cast a vote and so his elimination from the game was made all the more humiliating for him. I think this was great from Jeff Probst, who by the way was excellent throughout that entire tribal council. Varner did something that was absolutely appalling, and Probst did his part in not only condemning the Californian for it but ensuring a little humiliation would come his way as well. As Andrea said at tribal council there was no need for Jeff Varner to attack Zeke like that and as Sarah said, it truly was a “malicious attack” that had no merit in the game. Jeff was going home no matter what and revealing Zeke’s secret to the whole world accomplished absolutely nothing and for that matter was never going to accomplish anything! It was personal and it was disgusting and even though he wanted to take it back the moment he said it, the damage had been done and the more he opened his mouth, the more he made matters worse for himself. As Zeke said, he was the one that had been open to working with Varner and had given him the heads up because he didn’t want to blindside him. So why Varner chose to attack Zeke, seemingly abandoning his strategy of trying to take out Ozzy and coming after the only person really giving him the time of day was pure stupidity. What’s perhaps even more stupid is that he was actually doing well at the tribal council in giving his speech before he decided to go on the attack. At one point in his attempts to stay alive, Debbie even said “That’s good!”. She was only egging him on of course, but it did at least show that Varner didn’t need to do what he did. He could have gone out fighting for his life and swinging for the fences by trying to take Ozzy out; instead he went out looking like a total jerk. Jeff Varner deserved to be voted out without even getting to cast his vote, so well played Jeff Probst and the rest of the Nuku tribe who were all excellent in immediately condemning Jeff’s horrific act. Read more -> Why Jeff outing Zeke was a really big deal. So that ends our recap portion of tonight’s episode of Survivor. Now let’s get into the real meat behind it all and begin to dissect all that went on from an editing standpoint and attempt to try and discern where the future of this game is going. I’ve spoken a lot in previous weeks about how it has been the players who have been going home pre-merge that have been the one’s leading the confessional charts and that trend continued this week. With 8 confessionals this episode, double that of any other player in the game, Jeff Varner has now surpassed Sandra Diaz-Twine for most confessionals this season with 24. Take a look at the chart below. Usually when players do something as terrible as Varner has done on the show, production punishes them by portraying them in a very negative light or barely giving them any airtime at all. However, the opposite proved to be the case with Varner as he is officially our pre-merge confessional leader. Despite Jeff Probst’s clear intent to humiliate Varner at tribal council in not letting them actually vote properly, he still received a pretty positive edit through his short stint in the game, finishing up with 8 confessionals. Elsewhere, Sarah Lacina came alive again to receive the second most amount of confessionals (4), nearly doubling her previous tally to 9! It may not have been enough to match the amount of airtime Varner was given but impressively it was double what any other castaway had in episode six. Sarah was just so dynamic this episode and her confessionals also covered a broad range of topics, ranging from wanting to keep Varner in the game and her confusion about Zeke “throwing them under the bus”, to her own strategies and game-play. Brad also had a positive showing despite not being involved in the vote for the second week in a row while Cirie was back in business, albeit only with a confessional about pizza, following three weeks of invisibility. Four players received 0 confessionals this week including Michaela, Troyzan, Hali and most notably Andrea. The frustrating thing for Andrea must be that any conversation that she was involved in tonight was shown from other players’ perspectives. Like really? We couldn’t just get 1 Andrea confessional to see what she was thinking? I love Andrea and she seems to be playing a good game so it is getting a little annoying to see her getting such little air time without good reason. What is Edgic? Check out the Edgic section of our Premiere Recap for a full debrief! When one character completely dominates over every other character from an editing standpoint, at times it can be hard to fully discern who should fall under what category. Unfortunately for episode 6 of Survivor Game Changers, that is exactly what happened. In the act of giving Jeff so much airtime in his boot episode or should we say liquidation of his entire Survivor career, other players got seriously lost in the shuffle. For example, Ozzy, Tai, Debbie and Andrea all probably had several very relevant things to say in the Ozzy vs. Jeff Varner debate but instead we only got the views of Varner and Sarah Lacina. So that makes it very hard for example to decide what to do with Ozzy. We can’t possibly say he went Under the Radar, when he was mentioned in almost every other sentence in the episode, but at the same time he wasn’t given the chance to provide thoughts of his own so it’s hard to give him a score of CP, MOR and certainly not Over-The-Top categorical score. So what did we do with Ozzy? Well see below! Let’s get at it and talk about Edgic for this week in Survivor! Jeff Varner was well and truly over-the-top in absolutely everything he was saying and doing leading up to that tribal council. Seriously, go back and watch this episode again (if you can stomach it) and you will see how every single thing he says or does is just hinting at what is to come in the tribal council or hinting at the fact that he could be a malicious enough guy to do what he did. Beyond that, if the episode didn’t take his edit in that direction on its own, the tribal council certainly did and we all know why. The aforementioned Ozzy joins just Aubry in the Middle of the Road category this week as the two of them were the only one’s to give really descriptive confessionals about stuff that wasn’t really relevant to strategy or their own games. Cirie gave a confessional about how much she wanted pizza, but I’ve decided to put her under the Under The Radar category instead because she really wasn’t involved in anything this episode apart from a short-lived handshake with Brad. Aubry talked about how tough the game was and then how amazing Brad was while Ozzy gave one confessional about how nice it was to win the pizza reward before fading into the background and only being talked about by other players for the rest of the episode. Sierra went under the radar again this episode but at least she bumped her running total of confessionals from three up to four…so that’s something! Speaking of Under the Radar, Andrea may have been given the chance to share her opinions at tribal council but she can’t possibly accumulate any other kind of score after being so involved in so many different conversations without ever actually being given the opportunity to share her thoughts. Poor Andrea 😥 . Hali, Troyzan and Michaela went “invisible” this week, although Hali did have a big part to play in her team’s puzzle challenge win, somehow managing to turn the word “Shipwreck” into “Metamorphosis”. A number of players were portrayed as complex this week, most notably Sarah Lacina who received 4 confessionals, all of which were very descriptive and outlined specific points to where she wanted to take her game moving forward. Out of the four, her most notable one revolved around her inner struggle to want to make a big move in the game and prove why she is a game changer, but fighting against that because (reading between the lines) she knew it wasn’t the right time. Debbie only received 2 confessionals but they were about her strategy of keeping exile island a secret and trying to quietly assimilate into Nuku, while Tai also only received 2 confessionals but was still complex because one was an explanation as to why he threw Ozzy’s name out at the previous night’s tribal council and the other was in debating who to take out between Ozzy and Varner. Brad Culppeper was also quite the complex fellow, giving a variety of different confessionals ranging from his greater understanding to how tough it was for Monica to make it as far as she did in the game to his happiness in solidifying his core group of five that he plans to move forward with in the game. Finally, although Zeke (surprisingly) was only given one confessional on the night, it was incredibly complex, talking about his need to keep players, like Ozzy, that were bigger threats than him in the game. In addition the words he shared at tribal council had a certain degree of intricacy, importance and elegance of their own. So those are The Mastermind‘s Edgic scores for this week in Survivor. Please let me know your thoughts below if you have any fixes that you would personally make as I would love to hear your opinion! So what does all this mean in terms of trying to predict a winner? Well let’s talk about it, keep scrolling down and let’s discuss who has the winner’s edit!…And this week, it’s a really good one! Finally, I am feeling confident, perhaps more confident than ever before this season in predicting who will be the winner of Survivor Game Changers. I think at this point we have to narrow it down to two main contenders: Sarah and Brad. Hali is officially out of the picture while the only other person I could see from an editing standpoint having a chance is Zeke. I think if you had told people at the beginning of the season that either Brad or Sarah was going to be the winner of Survivor Game Changers, some might have not bothered to watch. But now, for me anyway, either one of them winning would be a highly desirable outcome to this season. If you weren’t a Sarah or Brad fan going into the season, it’s hard not to be at this point given how great they’ve played and how much the editors have positively portrayed these two characters. Of course a main contender to win this season has to be Sarah Lacina who had another really positive episode. She was the one who we heard speak at every single twist and turn above anyone else (other than Varner) and she was the one who had the most positivity about what she was saying in confessional. However, despite declaring Sarah Lacina to have the winner’s edit above Brad last week, I am now going back to the train of thought that Brad Culpepper will be the winner of this season of Survivor. Judging by the fact that Brad has now been the main protagonist of all that has happened over at Mana two episodes in a row when it could just as easily have been anyone else, the award for who has the winner’s edit has to go to him. Brad Culpepper has just been shown in such a positive light this season and by the way he is playing and deeply connecting with his allies, he absolutely deserves that positive edit. There was so much positivity to take away from an editing standpoint for Brad tonight that it’s hard to know where to begin! Firstly, one of the telling signs of his winner’s edit tonight was in the “Previously on Survivor” segment. The only mention Probst made of Mana was in saying “Over at Mana, Brad was working his way to the top”. That’s it. 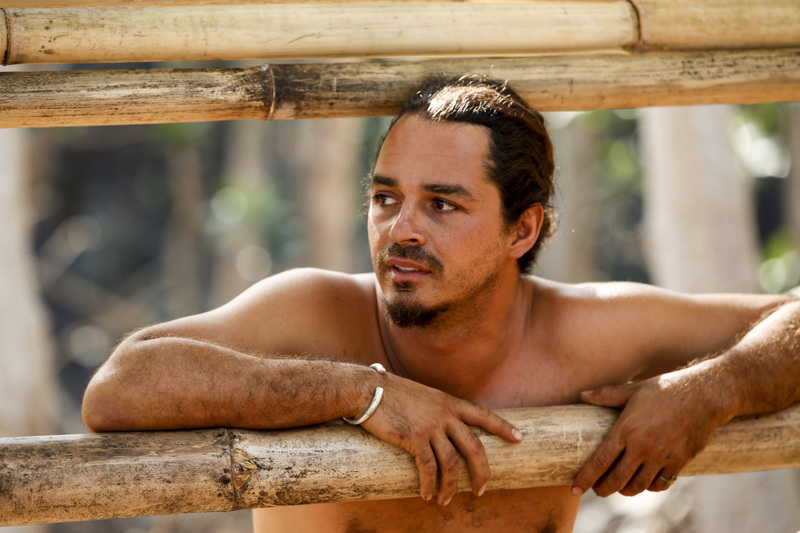 No mention of Cirie, Aubry, Troyzan, Hali, Sierra or Michaela, just Brad and his ability to work his way to the top. It was almost like a way for the editors to just work in one more time how good of a game Brad was playing without really saying much and without any other purpose. This kind of thing was evident in Michele Fitzgerald’s winning season all along as even though she never went to tribal council in that pre-merge she either always got directly mentioned in the Previously On Survivor segment or got lumped into what “The Beauty girls” were doing. Secondly, every other player who spoke of Brad had some very positive words to say about him tonight, suggesting that he won’t have any problem at getting votes in the end. Aubry said that she was amazed with Brad, telling the cameras “Brad is the most genuine person out here”. Cirie also spoke about how she wanted to work with him and how good of a guy he was, even shaking his hand! We also got quite a bit of game strategy and character development from Brad in “What Happened On Exile, Stays On Exile”. The former NFL football player spoke of how much more appreciation had for his wife Monica in making it to the end of the game on Blood vs. Water but also more importantly about how he had “his five”, his group that he wanted to move forward with in this game, something no other player has been shown talking about. Everything over at Mana in the last two episodes has come through his lens and every confessional any other player gave (apart from Cirie talking about pizza), revolved around him. This means that Brad Culpepper without a doubt has the coveted winner’s edit! “Jeff (Probst) I am certainly the last person that should be a role model for anybody else, but maybe there’s someone who is a Survivor fan and me being out on the show helps him or helps her or helps someone else and so maybe this can lead to a greater good” – Zeke staying strong and putting a positive spin on everything at the end of an emotional tribal council. This episode the player of the week is a tie between the lovely Sarah Lacina and the always inspiring and powerful Zeke Smith. Both were excellent in this episode and both deserve an incredible amount of recognition for the way they handled Jeff Varner’s horrific acts. Sarah’s speech was absolutely beautiful while Zeke’s words talking about how he didn’t want being trans to define him was galvanizing and powerful. From a gameplay perspective, both were also great in this episode. They both entertained the idea of voting out Ozzy with Jeff Varner so as to not alienate him in case they needed his vote or things flipped around and both were just so good in outlying their long-term game strategies. The Millennials vs. Gen X man talked about keeping around people that were bigger threats than himself, while the Cagayan contestant spoke about how she was edging to prove herself to be a Game Changer but ultimately made the right decision in the end in refraining from that thought. So with that, this week’s Player of the Week is a tie between Sarah Lacina and Zeke Smith! Next time on Survivor IT’S THE MERGE! And “It’s a scramble for power!” Oh man, this merge episode is going to be on fire. We go into the merge with two tribes absolutely deadlocked with two really solid groups and a couple of characters who could easily be swayed to change sides. Due to winning the past two challenges, Brad’s group over at Mana now has a 7-6 numbers advantage over Ozzy and Zeke’s group and that could easily spell trouble for this once so solid Tavua alliance. I could easily see someone like Sarah, Tai or even Ozzy himself being swayed to switch sides as the others fall by the wayside. And by the way apparently “There’s a new sheriff in town” and her name is Sierra Dawn-Thomas. Hopefully this next episode is the one that really establishes Sierra as a character on this season and potentially even as a Game Changer. Whatever happens, I cannot wait for it all to go down next Wednesday night and I cannot wait to cover it all for you once again! Initially I thought that all that transpired at tribal council in this episode was just one more nail in the coffin of why I am not enjoying this season as much as others. But after reflecting further on the incident, if this episode has the power to influence and impact more lives and more positive discussion on society than any other moment in Survivor history, then that is certainly a positive thing and something that actually takes Game Changers up a notch. Earnestly, the horrible boot order that has transpired and the many not so fun to watch scenes that have also occurred has made this season out of all the seasons I have watched live, my least favourite so far. And yes, that includes Worlds Apart. There’s still plenty of game left and plenty left to make up for the parts of the season that I haven’t enjoyed and I am really optimistic about either a Sarah or a Brad win, but it’s hard to see this being ranked by anyone as a top ten or even top half season. Unfortunately, this appalling moment from Jeff Varner and his horrible job in back-tracking what he had said, is a big reason why. Stay tuned for Why Jeff Varner Was Voted Out coming your way tomorrow and if you haven’t done so already check out Why Jeff Outing Zeke as Transgender on Survivor Was A Really Big Deal. Thanks for reading and I will see you next time!